The precise colors for model kits in World War II scenes is not an easy task. Different tones and colors were used by the same armies during the WWII years. Pre-war tanks, ships and airplanes using different schemes and colors that those in the late war period from 1944-1945. The same problem occurs for the Imperial Japanese Navy painting colors. Here I summarize some of the widely used and available painting colors that can be use for Imperial Japanese Navy warships. Mr. Hobby is a Japanese brand that offers the most exact and precise color tones in my opinion. Moreover, they offer three different colors depending were the ship was constructed: Kure Arsenal, Sasebo Arsenal and Maizuru Arsenal. 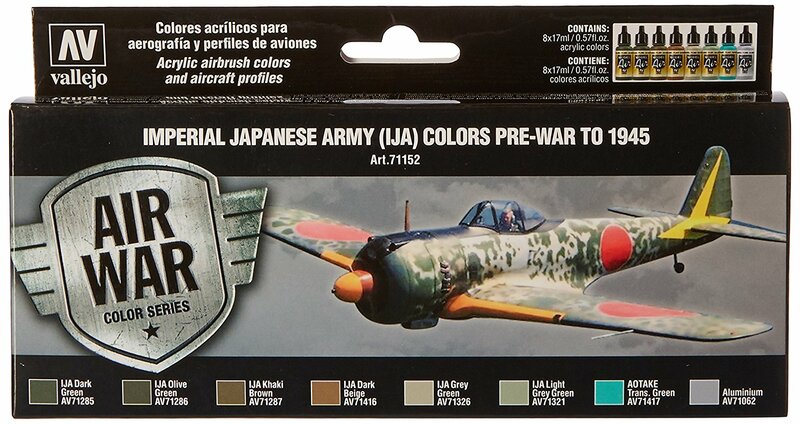 For the Aircrafts of the Imperial Japanese Navy Vallejo offers a complete painting colors set that covers from pre-WWII schemes to 1945. Set of 8 colors VJ71169 air in 17Ml. 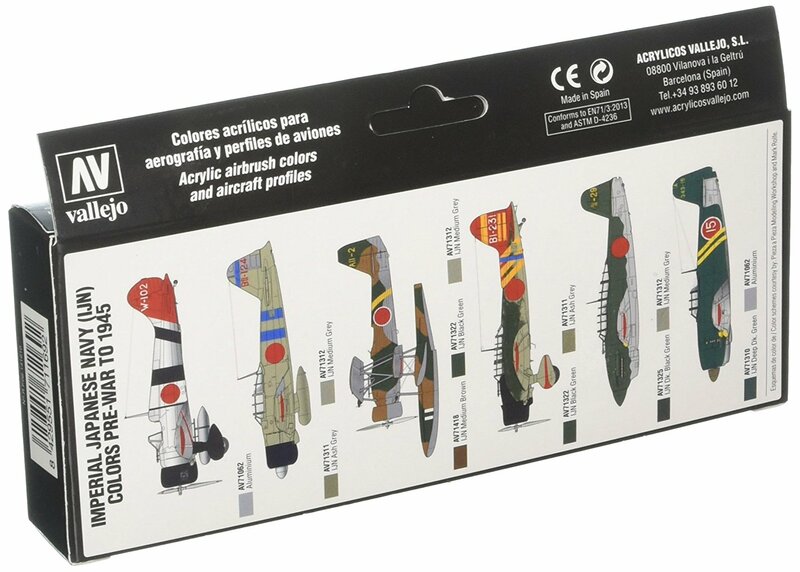 Developed to paint the aircraft of the aviation division of the Japanese Imperial Navy (IJN) for aircraft embarked on carriers as well as land based, used in the war with China during the years previous to the attack on Pearl harbor (December 1941) and the subsequent entry into the WWII conflict until August 1945. Colors 71062 aluminum 71310 IJN deep dark green 71311 IJN Ash grey 71312 IJN Medium grey 71322 IJN black green 71325 IJN dark black green 71418 IJN Medium brown 71419 “aotake” translucent blue.